While curry-mad Britons can't get enough mango chutney, it seems that Americans can't stand the sticky stuff. 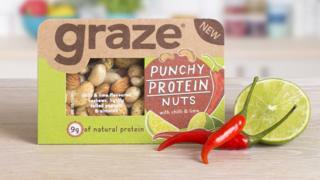 That was what popular UK snacks firm Graze found out pretty quickly when it first expanded to the US in 2013. "Our plan in the US was to initially launch our entire British range and see how everything went down," says Graze's chief executive Anthony Fletcher. "Some things Americans loved, and some they absolutely loathed... [such as] mango chutney. They were saying 'what is this acidic yellow blob?'." For many UK food and drink companies cracking the US is the holy grail. With its population of more than 326 million people, the giant American marketplace can offer British grub and booze businesses huge revenues. But as the UK's largest supermarket group Tesco can attest, being a success stateside is far from easy. Back in 2013 it sold its six-year-old Californian venture Fresh & Easy after losses totalling more than £1bn ($1.4bn). So how exactly can a UK food and drink firm conquer the US? We asked a number of companies who have done just that to reveal the secrets of their success. Graze's Antony Fletcher says that his company sat down and formulated a plan whereby they would study their US online sales data to quickly work out exactly which of its snack food packs Americans wanted to buy, which ones they didn't like, and which ones could be adapted to better meet US tastes. "We are very lucky in that we sell via our website," he says. "And we get 15,000 product ratings an hour, which gives us a huge advantage - we can find out very quickly what people like and don't like." So, launching in the US with its entire range of products, within days Graze found out that American customers loved its packs of mixed nuts, but couldn't cope with things like the already-mentioned mango chutney, or the firm's "deconstructed Jaffa Cakes". The latter wasn't bought in the US because American consumers didn't know anything about Jaffa Cakes, the popular UK orange and chocolate-topped mini-cakes. Graze soon trimmed back what was available to US customers, and used their reviews to change the formulas of other products, such as its barbeque sauce. It also quickly introduced some US specific lines, such as "Creamy Range Kern Pops", which is popcorn with a "creamy, zesty kick". 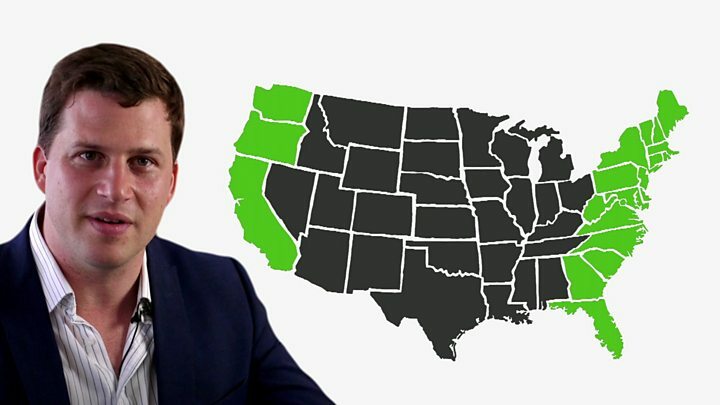 Mr Fletcher says that Graze also studied how long the various US delivery firms took to get its snack boxes to customers' doors, so that it could chose the quickest in each state. Today US sales account for half of the company's £75.8m annual revenues. David Wilson's claim to fame is that he introduced the vegetarian version of chicken nuggets to the US market. Back in 2000 he was a co-owner of the then company that owned meat substitute brand Quorn. At the time the product was primarily bought in the UK as a substitute for beef mince, and made by users into dishes such as spaghetti Bolognese or chilli. Seeking to crack the US market, the plan of Mr Wilson and his colleagues was to instead market Quorn in the US as a chicken substitute, including the introduction of Quorn nuggets. Mr Wilson moved to New York to take charge of the move, and after the nuggets were picked up by upmarket US supermarket chain Whole Food Market, Quorn has never looked back in the country. Today Mr Wilson still lives in the States, and runs a business called Green Seed Group that helps and advises UK and other foreign food firms that wish to launch in the US. "The first thing that any food business that wants to break into American needs to do is research." he says. "And by that I don't mean take a week's holiday in Florida or a weekend in New York, you have to move to the US and absorb its food culture. You need to visit supermarket after supermarket, and restaurant after restaurant to study the marketplace. This is the 14th story in a series called Connected Commerce, which every week highlights companies around the world that are successfully exporting, and trading beyond their home market. "The sensible thing is then to go to the big food fairs. First just as a visitor, and then buy a stand. You then need to see if you can attract buyers for independent stores first. The likes of Walmart won't even look at you unless you are already showing some sales success in the US. "And hire a US-based expert to help you find potential buyers, and guide you on labelling laws etc. "The one thing that is much easier and cheaper these days is marketing. Back in my Quorn days it could be expensive, but now firms have social media." UK organic tea and herbal supplements firm Pukka Herbs also recommends that fellow British food firms attend trade fairs - both in the US and elsewhere overseas - so that they can meet potential buyers. "We met our first overseas buyer at a trade show in Germany, and then we went to trade shows in the US in 2009 to show off or teas, and we got picked up by a wholesaler in the north east of the country," says Pukka Herbs co-founder Tim Westwell. The company was first founded in 2001 and the US market now accounts for 10% of its turnover. British ex-pat Tracy Claros founded her business, the Sticky Toffee Company, in Austin, Texas, in 2003. Today her company has annual revenues of $4m (£3m), and her stockists include Whole Foods Market, Costco and Walmart. Her advice is offer something new, and be patient. "Come with a unique, well-branded product, and be prepared to be here for the long haul," she says. UK beer firm Brewdog is one company taking this long-term approach in the US, so much so that it has built a brewery in Ohio to make its presence permanent. Mr Wilson from Green Seed Group adds: "Cracking America starts with having a unique brand offer that fits in with the American lifestyle. "It is all about a good market strategy, sound financial backing, and quite a bit of patience. If you get it right, the prize is huge, but if you don't it can be an expensive misadventure."